Ras Al Khaimah, UAE, 29 April 2018: Ras Al Khaimah is set to rock on 4th and 5th May with its Rock vs Classic concert at the top of the UAE’s highest peak, Jebel Jais. The two-day concert brings together Moscow’s Symphony Orchestra in a unique mash-up with some of the greatest rock artists of all time. Featuring Bill Champlin – former CHICAGO front man, Bobby Kimball lead singer of TOTO and Dave Bickler Former lead singer of SURVIVOR, the concert will bring together the musical genres under the direction of award-winning artist and conductor, Vladimir Rylov. Featuring a complex and sophisticated light show utilising cutting-edge technologies the event is guaranteed to be an incredible experience for fans of music and culture. Tickets are on sale now, starting at AED300 and are available at Virgin Megastores. Ticket holders opting not to drive to Jebel Jais can use the optional concert shuttle service for AED 10 from Ras Al Khaimah Chambers Building at 4:00pm. Roads to Jebel Jais will be closed on 4th and 5th May. 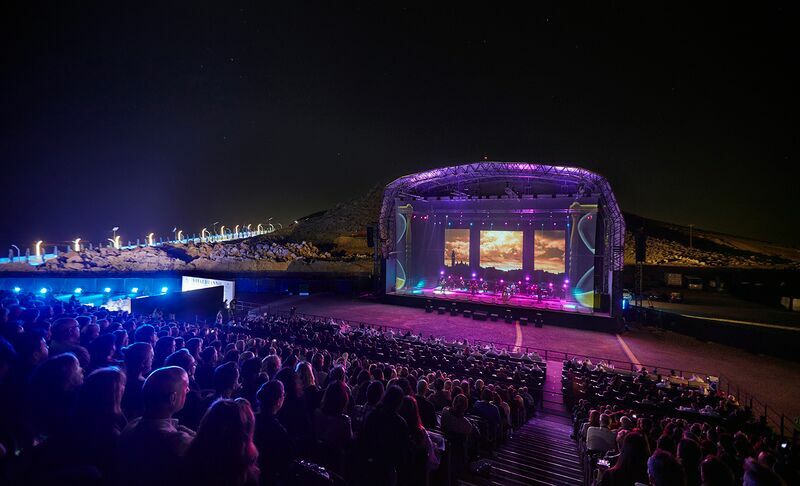 Only Jebel Jais Flight: World’s Longest Zipline and Via Ferrata ticket holders will be given access to Jebel Jais on the days of the concert. Guests can enjoy sunset drinks and a variety of food trucks against the backdrop of Ras Al Khaimah’s iconic natural mountain. For those looking to combine the concert with a staycation in Ras Al Khaimah, Hilton Garden Inn is offering a special weekend rate of AED 535++ for Double Occupancy with breakfast for the Friday and Saturday nights. Reservations can be made by calling 07 228 8888. The Rock vs Classic concert is in partnership with Ras Al Khaimah Tourism Development Authority (RAKTDA) and Marjan Island and sponsored by Stevin Rock, RAK Rock and Hilton Garden Inn. The event is organised by Double E.